At least 30 people have been killed in a suspected methane gas blast at a coal mine in a rebel-held region of eastern Ukraine, officials say. Other 14 miners were also injured at the Zasyadko mine in Donetsk, scene of Ukraine’s worst mine disaster nearly eight years ago. Rescuers have not yet reached the site of the blast, officials said. Donetsk saw heavy fighting between separatist rebels and government troops over the winter. A mine union official, Mikhail Volynets, told a Ukrainian TV channel there had been no fighting in the area in recent days. 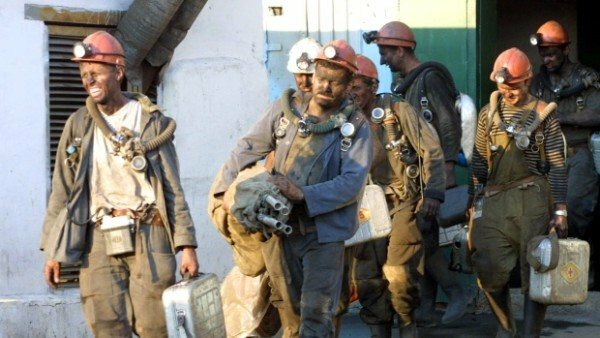 Vladimir Tsymbalenko, head of the local mining safety service, was quoted by Reuters as saying: “According to preliminary information, more than 30 people were killed. While Ukraine’s economy has significantly shrunk since the conflict began in April, many coal mines continue to operate in the conflict zone. Before the conflict, accidents were common in the mines, where safety standards are poor. Despite being one of the region’s newer and better-equipped mines, Zasyadko suffered Ukraine’s worst mining disaster in November 2007, when 101 people were killed.